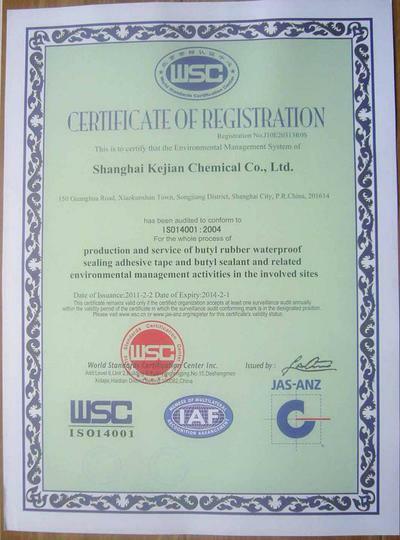 Company Overview - Kejian Polymer Materials(Shanghai) Co., Ltd.
7YRSKejian Polymer Materials(Shanghai) Co., Ltd.
We are located in the southeast of Shanghai, China and cover an area of 20,000 square meters. We devote ourselves to the research and development of new and high technology products, with good developing ability and advanced techniques. 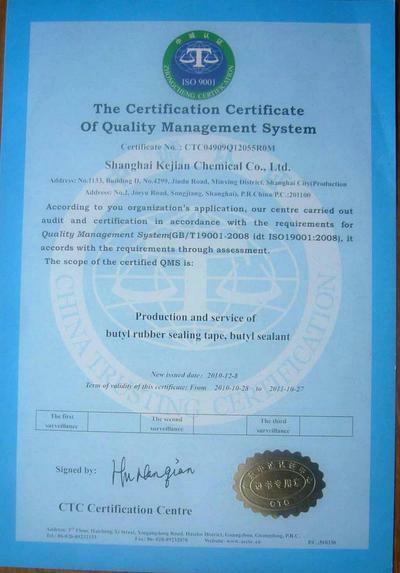 We produce all kinds of water-proof butyl tapes and related sealant for the car industry, FRP industry, communication industry, building industry and so on. 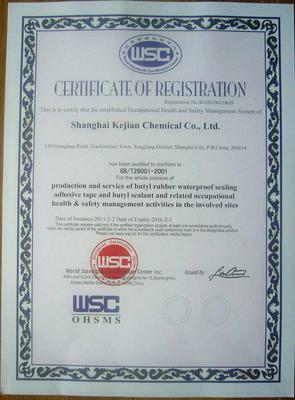 We now have got 6 invention patents and have passed ISO9001 Quality Control Certification, ISO14001 Environment Control Certification, ISO18001 Occupational Health and Safety System Certification.Our advantages are: top class quality & reasonable prices; tailored products for customers and strong R&D ability; responsive management structure; smooth logistics network; perfect after-sales service.